Arrive Bangalore. Upon arrival at Airport / Railway Station, transfer to Hotel. Afternoon visit Lal Bagh-Botanical Gardens, Bull Temple, Vidhana Soudha, Visveswaraiah Industrial & Technology Museum. Overnight Stay. After breakfast, proceed to Hassan: (160 kms. /3.5 hrs.) .Upon arrival, check into hotel. 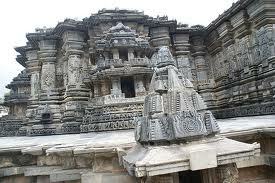 Later visit Chennakeswara temple at Belur and the Hoyasaleswara Temple at Halebeid. These are some of the finest examples of temple architecture. Overnight Stay. In the morning leave Hassan for Mysore ( 100 kms. / 2.5 hrs. ). Enroute visit Sravanabelagola "white lake of Jain hermit" is the leading 57 ft. Colossal statue of the hermit Gomateswara built in 985 A.D. Afternoon visit Chamundeswari Temple, Maharajas Palace, and enjoy light and sound fountains at the Brindavan Gardens. Overnight Stay. After an early breakfast depart for Ooty ( 160 kms. / 4.5hrs. ), the Queen of Hill Stations. 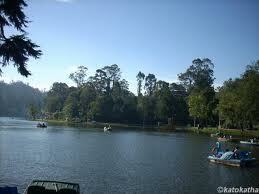 Visit Botanical Gardens and the scenic Ooty Lake where you may enjoy an boat ride. Overnight Stay. After breakfast, proceed to Kodaikanal ( 268 kms. / 7 hrs. 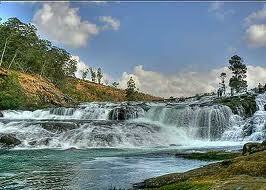 ), a charming hill station. Evening at leisure. Overnight Stay. Visit the Shenbaganur Museum the croakers walk, Telescope House and Kodai Lake. Overnight Stay. Depart to Kanyakumari (324 kms. /7 hrs. ), the land's end of India, is a meeting point of the great seas-the Indian ocean, the Arabian sea and the Bay of Bengal. Upon arrival check into hotel. Overnight Stay. Enjoy sunrise at Kanyakumari. Take a ferry boat to Swami Vivekananda Rock Memorial. Visit Kanyakumari Mandir, Gandhi Mandapam and Trisamudra Milan. Later, depart to Madurai (235 kms. /4.5 hrs.). check into hotel. Overnight Stay. 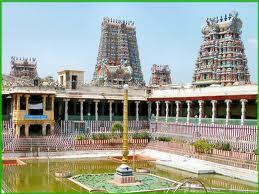 Morning visit the world famous Meenakshi Temple, the most perfect example of Dravidian architecture. Later transfer to Airport / Railway Station for onward journey. Tour concludes.